The Simulink Function block is a Subsystem block preconfigured as a starting point for graphically defining a function with Simulink® blocks. The block provides a text interface to function callers. 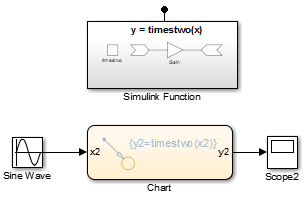 You can call a Simulink Function block from a Function Caller block, a MATLAB Function block, or a Stateflow® Chart. For a description of the block parameters, see the Subsystem block reference page in the Simulink documentation. 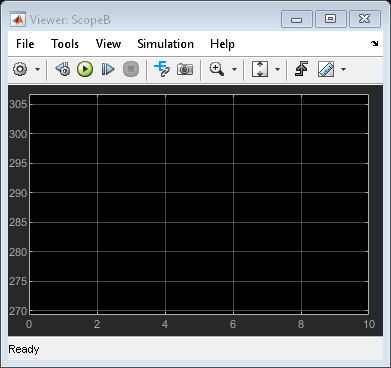 You can visualize Simulink Function calls in the Sequence Viewer. The viewer shows when calls were made with the argument and the return values. See Sequence Viewer block reference. The function interface appears on the face of a Simulink Function block. Editing the block text adds and deletes Argument Inport blocks and Argument Outport blocks from the function definition. Editing also sets the Function name parameter in the Trigger block within the Simulink Function block. For example, entering y = myfunction(u) on the face of a Simulink Function block adds one Argument Inport block (u) and one Argument Outport block (y) within the subsystem. 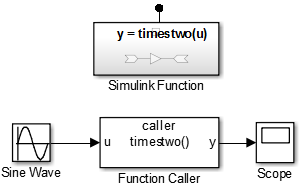 When calling a function using a Function Caller block, the parameter Function prototype in the Function Caller block must match exactly the function interface you specify on the Simulink Function block. This match includes the name of the function and the names of input and output arguments. For example, the Simulink Function block and the Function Caller block both use the argument names u and y. When calling a function from a Stateflow transition or state label, you can use different argument names. For example, the Simulink Function block uses x and y arguments while the Stateflow transition uses x2 and y2 arguments to call the function. 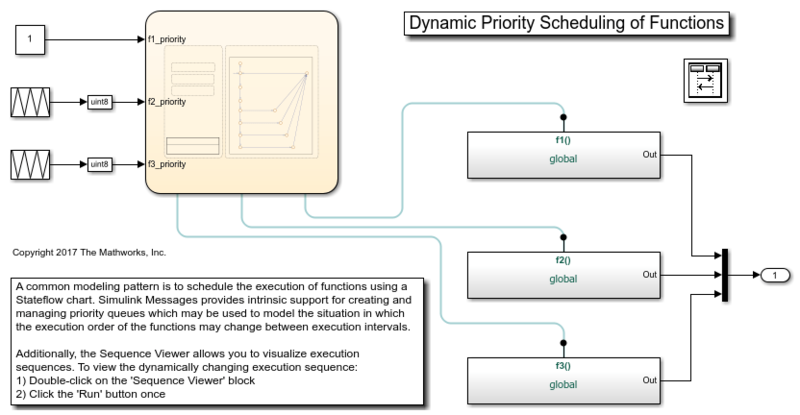 In general, a Function-Call Subsystem block provides better signal traceability with direct signal connections than a Simulink Function block. 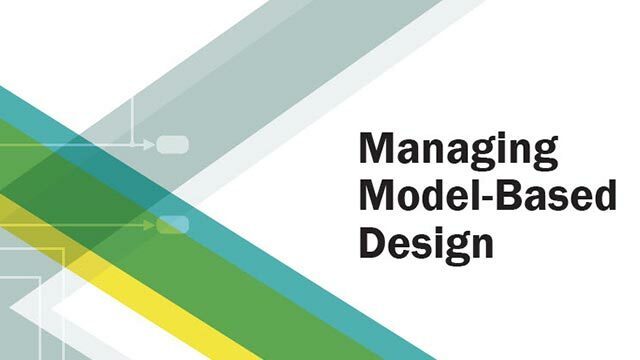 While a Simulink Function block eliminates the need for routing input and output signal lines through the model hierarchy. Placing an Inport block in a subsystem block adds an external input port to the Simulink Function block. The port label matches the name of the Inport block. An Argument Inport block in a subsystem block provides an input port corresponding to an input argument. A port is not displayed on the subsystem block. An Argument Outport block in a subsystem block provides an output port corresponding to an out put argument. A port is not displayed on the subsystem block.